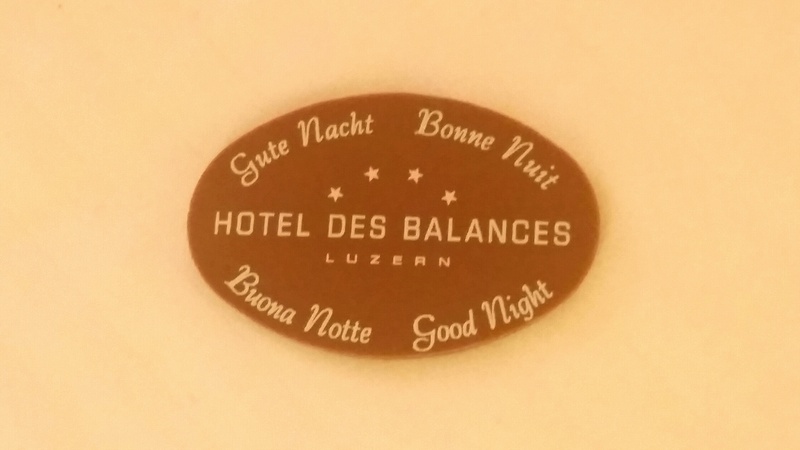 Today, I was in a conference room in Lucerne for eight hours. No sunshine. No city views. No sightseeing. 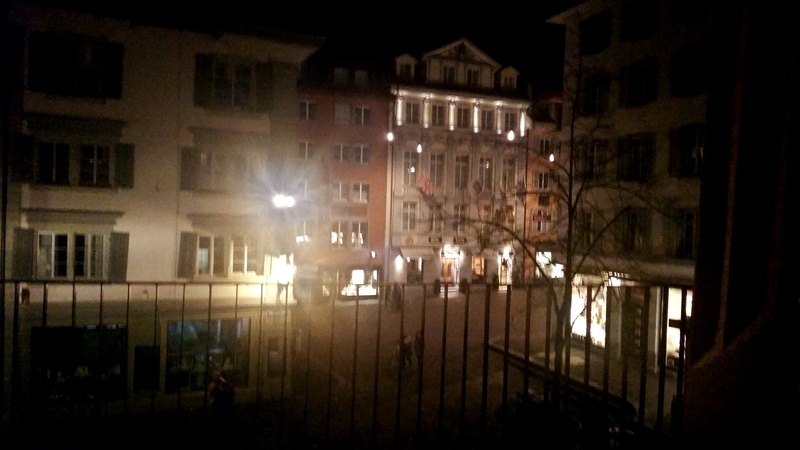 But after dinner, I again was charmed by my hotel and the square it overlooks. 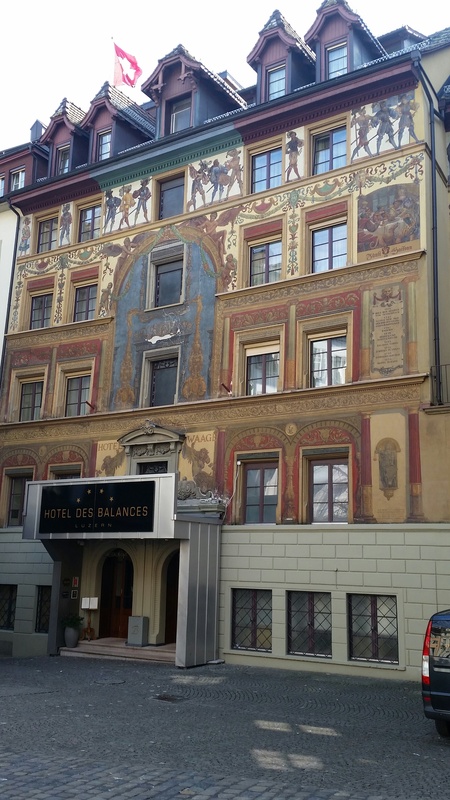 In the daylight, the front facade of the Hotel des Balances in Lucerne is awash with color, the figures and ornate border giving the building an almost candy-colored glow. When the sun sets, the hotel and the other painted buildings in the square loose their characteristic colors but not their charm. Most businesses close by seven o’clock, so there is only the sound of foot traffic on the cobblestone, and the street lights make the architecture appear more whimsical. I took this photo from my hotel balcony, which overlooks the front entrance. And because many of you couldn’t concentrate after you read the word ‘chocolate,’ here is that mint I mentioned. 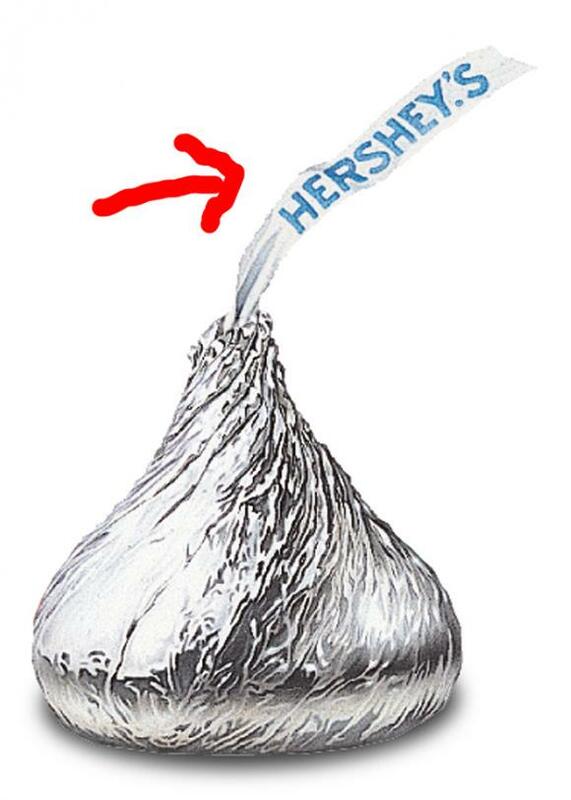 What do you call the little piece of paper that sticks out of the top of every Hershey’s Kiss? I’ve never even thought about it until today, when a ‘fun fact’ was circulated on Twitter revealing the banner’s name: niggly wiggly. 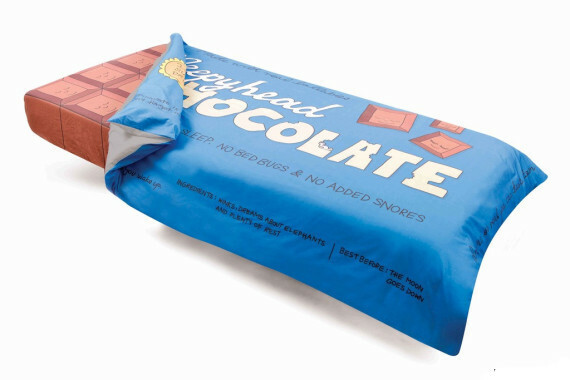 When I checked Hershey.com, no mention of the name was anywhere to be found…which makes the Twitter tidbit suspect. It is fact…or fan fiction? What do you call the chocolate’s calling card? Vote in the poll below. Who cares how you spell delicious? I was very excited to read that today was National Macaroon Day! But I was very confused. These are French macarons — two light cookies made of egg whites and almond meal with a sweet filling of just about anything. 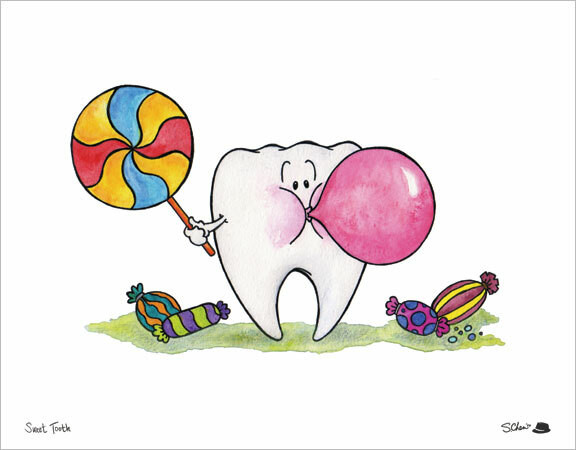 I mean, you have to love that rainbow of colors and flavors. 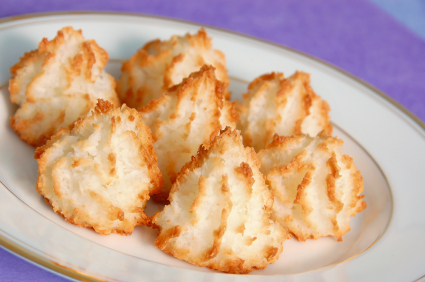 No, these are macaroons — not a cookie at all because it turns out they contain no flour. They do have a lot of coconut (and sometimes chocolate drizzled over top), and they are yummy. 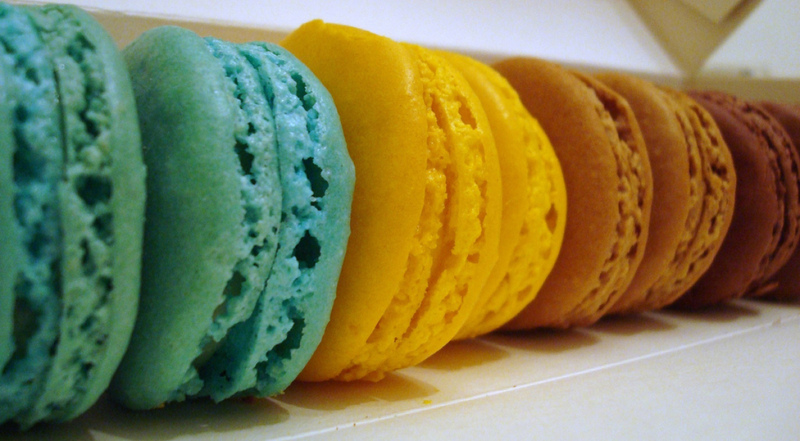 I am not typically one for cakes and cookies, but I do love macarons and macaroons….so I will celebrate both today. Something fruity, perhaps? Or a rich chocolate bite? 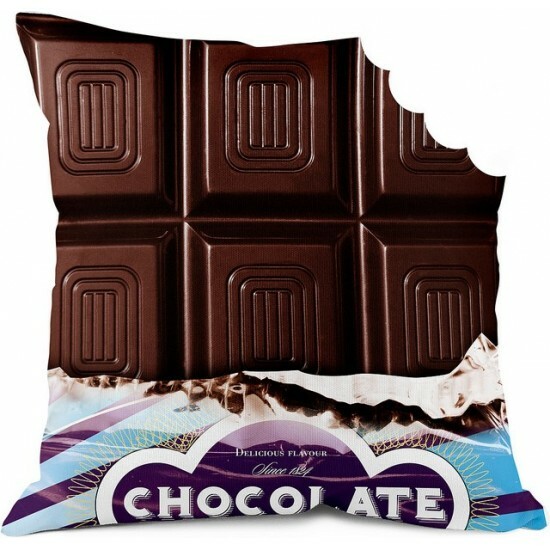 Don’t sink your teeth into these morsels — they are ‘Crunched Pillows’ by Bonjour Mon Coussin, a food-obsessed online store started by Claire Eglizaud and Paul Moreau in 2007. She’s a fashion stylist; he’s a graphic designer. 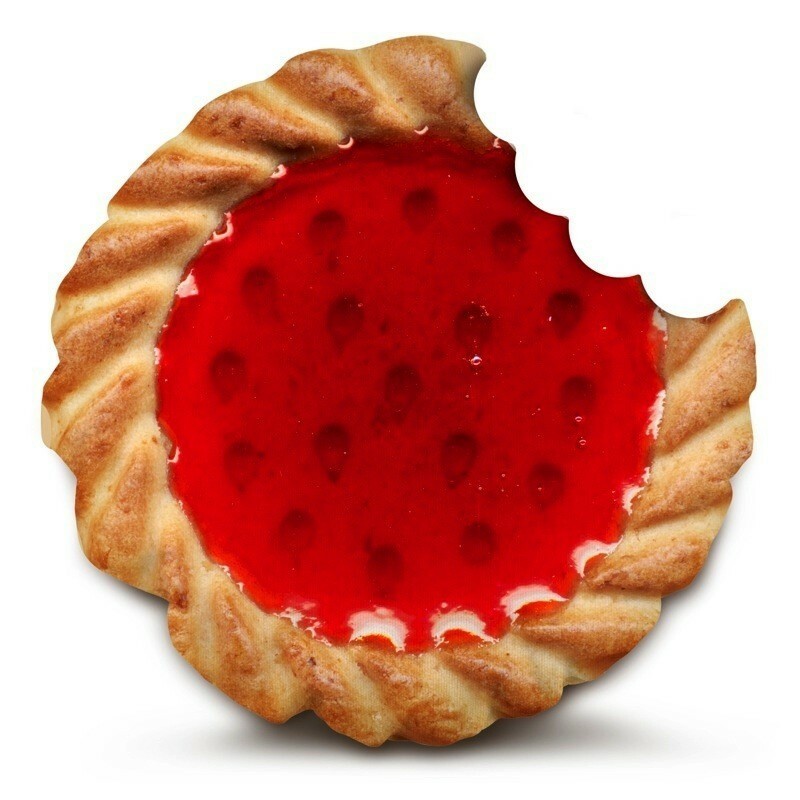 And the clothing, bags, purses and home items featured on their site are a foodie’s dream come true. 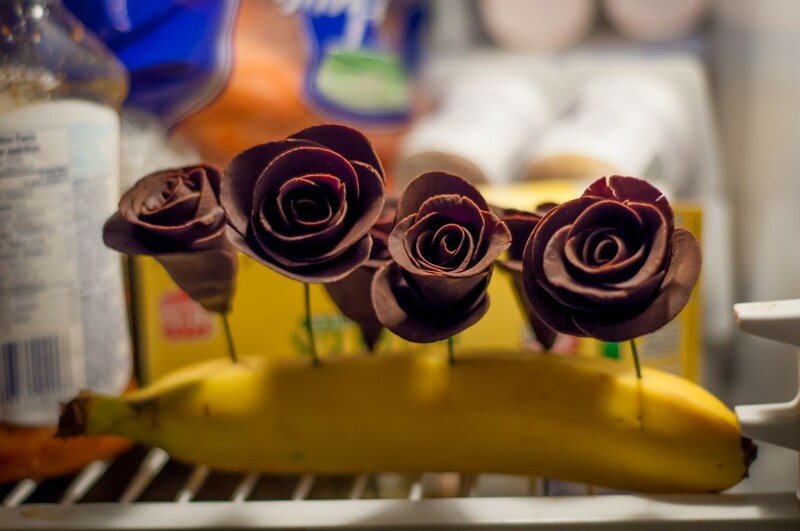 And if you want to literally dream in chocolate? Well, you can make that happen, too. What a great excuse to enjoy a yummy chocolate and peanut butter brownie. Wombats are, in fact, the only creatures that poop cubes. The shape helps the wombat mark its territory and recognize potential mates, because the flat sides help the poops stay in place. I still think they look like little mini-desserts. Put them on a Christmas doily, and I bet you’d fool a few folks. That is, if the wombat didn’t get there first.